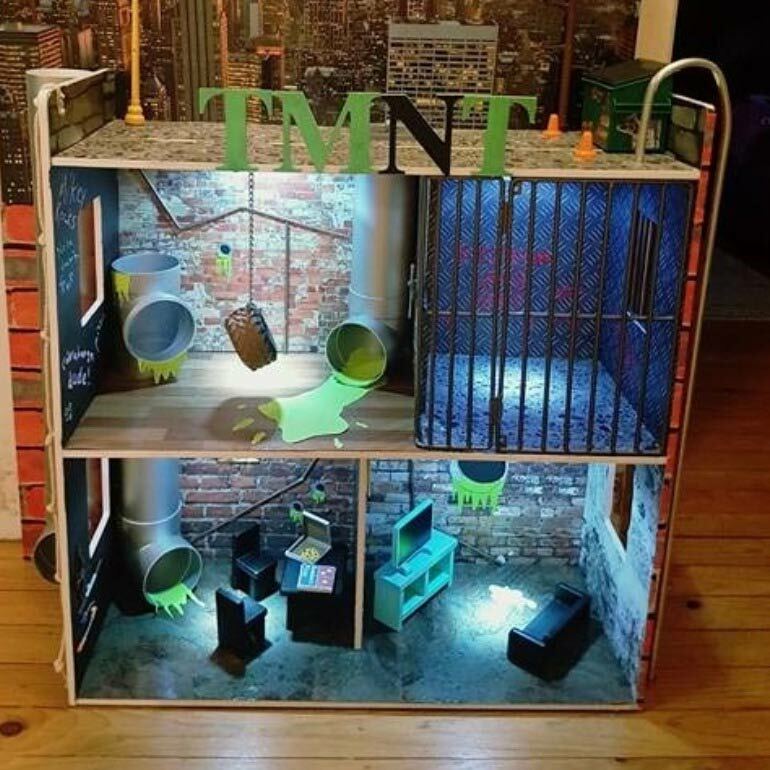 Parents Hack Kmart Dollhouse into Teenage Mutant Ninja Turtle Lair and It’s Awesome! Our 80s childhood dreams have officially come true, thanks to a couple from Adelaide. 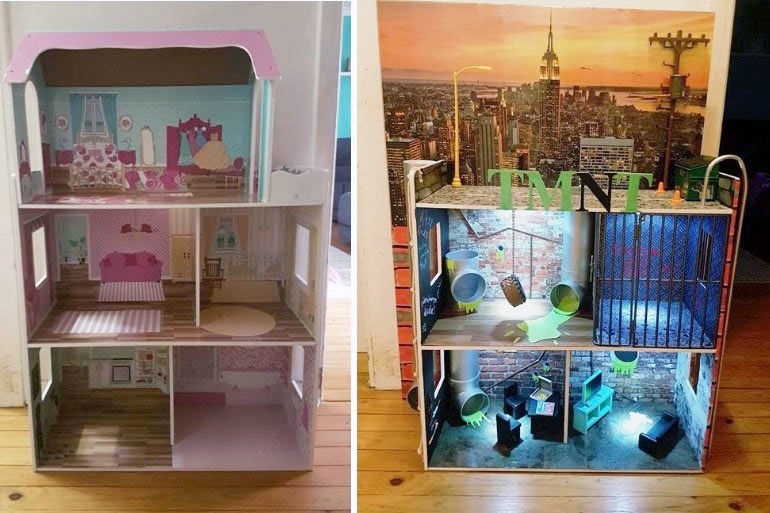 Justine and Kai Ashcroft literally super hacked the sh*t outta their Kmart dollhouse, transforming it into a Teenage Mutant Ninja Turtle lair for their six-year-old son. 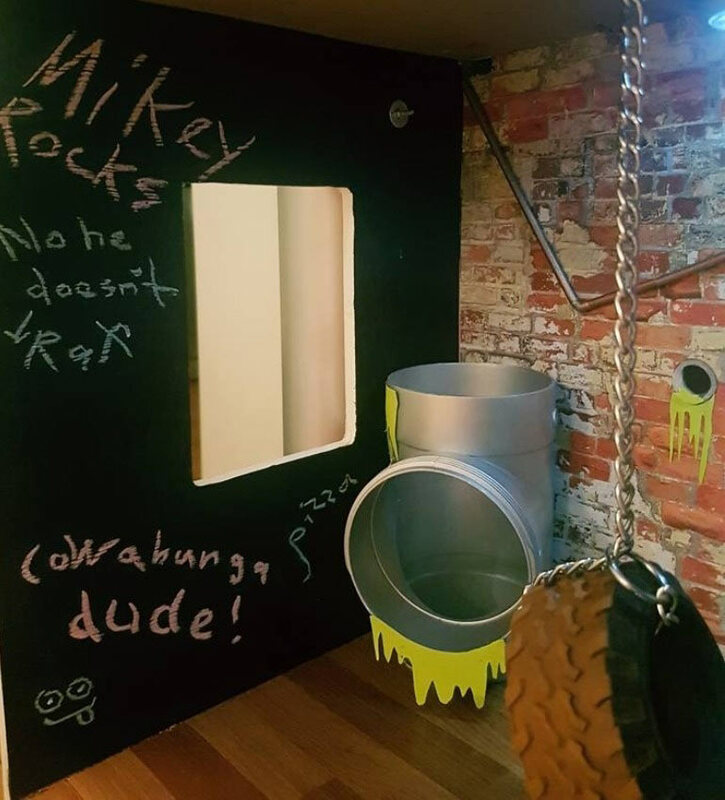 “Cowabunga” doesn’t even begin to cover the extreme coolness of this Kmart dollhouse hack turned TMNT cave. Come and see for yourself! 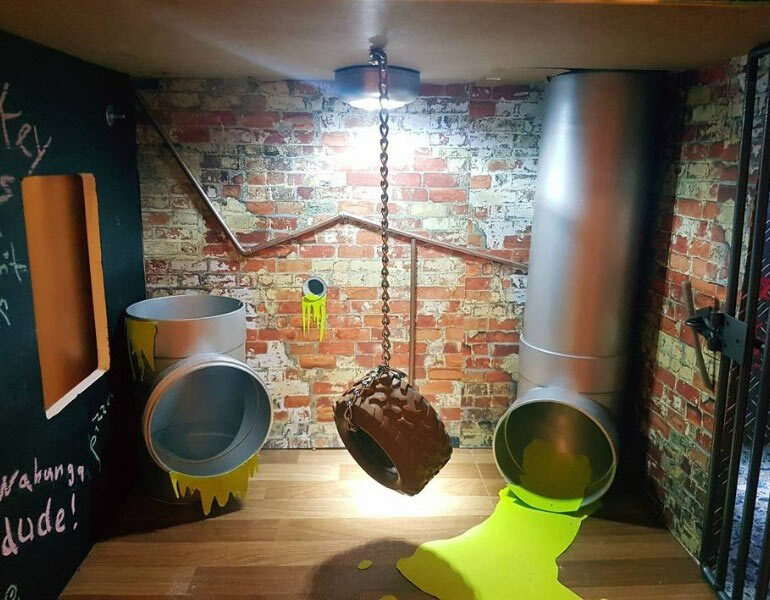 Made with love (and a wee bit of iron), the Adelaide parents managed to replicate the TMNT cave down to the last detail. 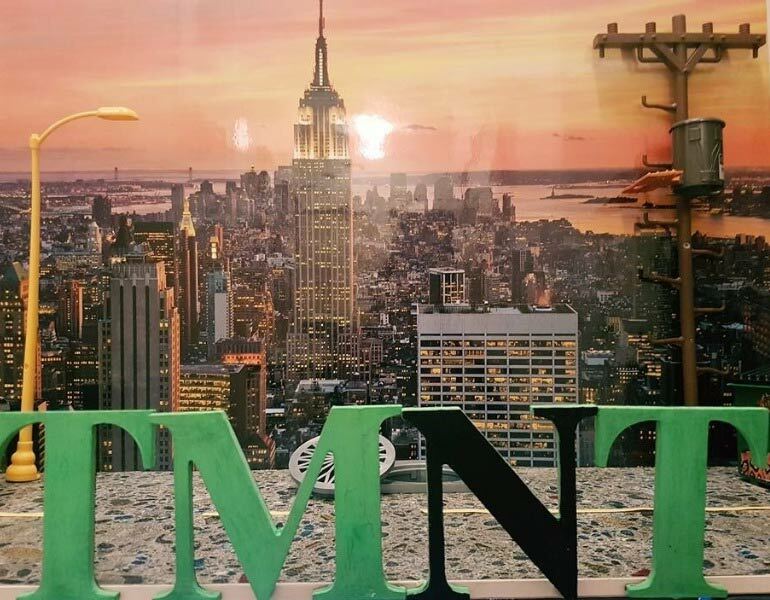 The project took four months to plan and two months to design and is for their six-year-old TMNT-loving son, who is celebrating his seventh birthday later this week. 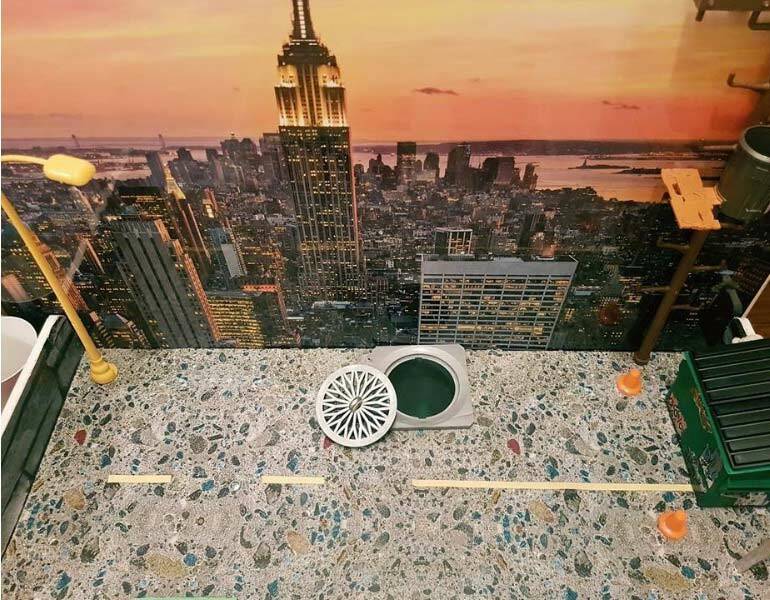 Justine posted their Kmart dollhouse hack on Kmart Mums Australia and, as expected, the likes, shares and comments escalated immediately. Justine and Kai, who have three kids, aged nine, six and six months, stripped back the traditional pink and purple walls to design an underground den, complete with a tunnel at the top of the house to let the turtles in. 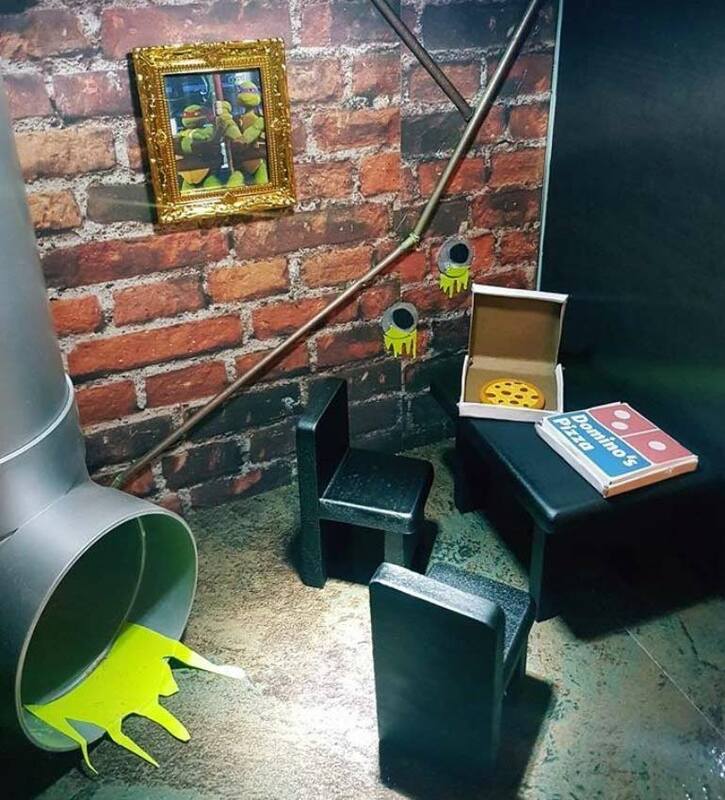 They up-cycled an older TMNT lair their son had laying around and added their own bits and bobs to the cave. 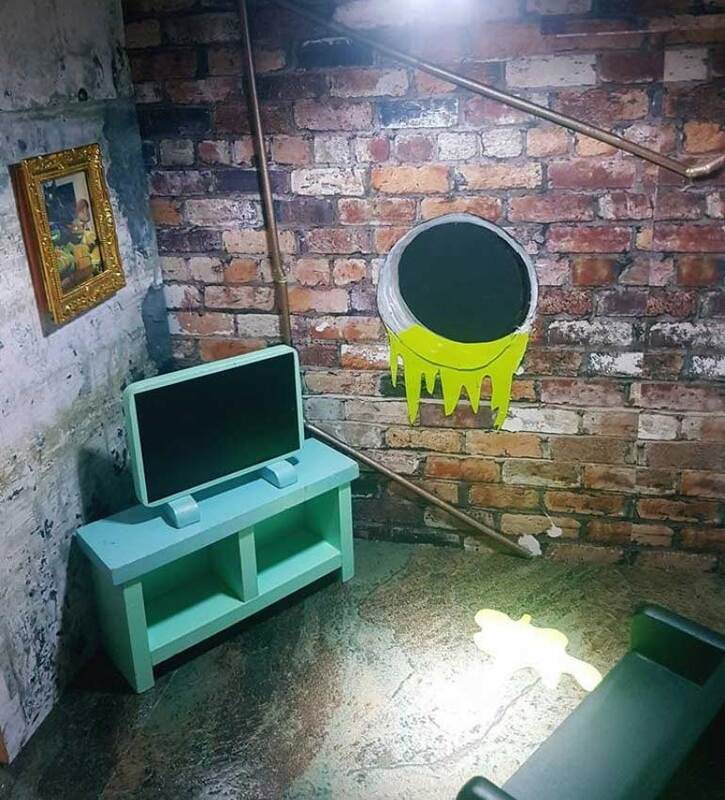 The lair is extremely detailed with graffiti on the wall, a mini tyre swing, slime and underground tunnels in every room. They’ve even Dominoes Pizza on the table. 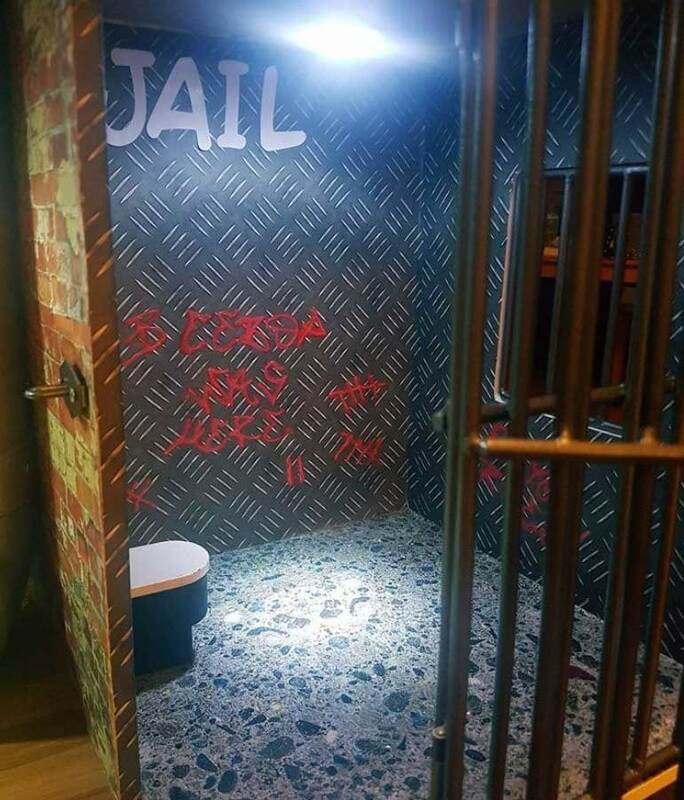 The jail is even more impressive, which Kai made using an iron rod and spray paint. Plus some serious welding talent. “He got an iron rod, bent, cut and welded it together, spray painted and grounded off the hinges,” Justine explains. I know. It’s amazing. Justine and Kai, you guys are super hacking legends. Then there’s me…who is still wearing pyjamas at noon and just burnt a pan of cookies. Looking for more Kmart hacks that will impress the pyjamas off you. 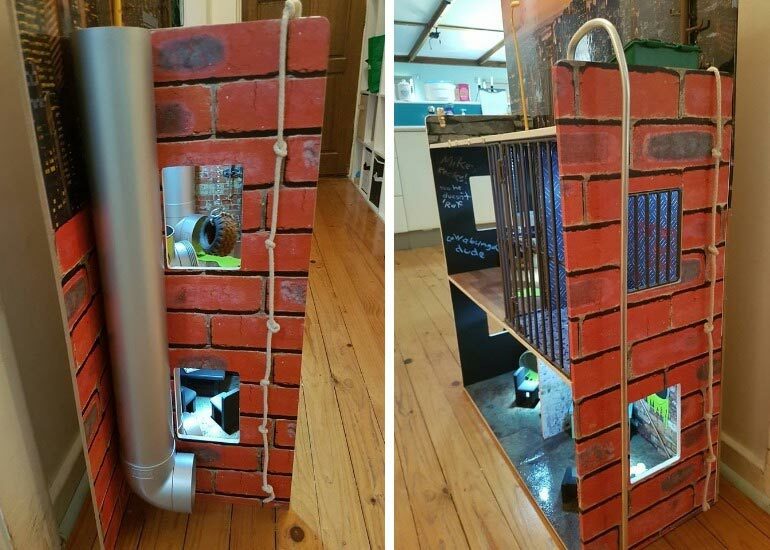 Check out these heavenly hacks of the popular Kmart cubby house. And if you have a cool hack of your own to share, get in touch!